I have been sharing a lot of resources e.g. 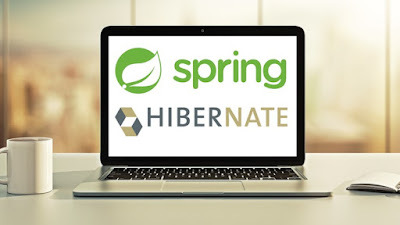 books and courses recently and when I published my list of Top 5 courses to learn Spring and Hibernate, many of my readers asked about a similar list of free courses to learn Spring Framework e.g. Core Spring, Spring MVC, Spring Security, and Spring Boot. That request was always back of my mind but I couldn't get time to put together a list, which I can share with you guys, but today is the day. In this list, I have compiled some of the best online free courses to learn Spring Framework from scratch, online at your own pace. You can not only learn core Spring e.g. a framework which provides dependency injection, but also Spring MVC, the most important framework for a Java Web Developer, Spring Security, and Spring Boot to take your career to next level. I love free resources e.g. books and courses, but there are many people who think that free resources are not just worth it, they are often not up-to-date and learning from them is a just plain waste of time. Well, they do have a point that free resources are mostly outdated but free resources don't mean they are not valuable. Paid resources are definitely better than free resource but than, they have to, you are paying money to use them. There was a time when I buy a lot of books, I still do but now I also focus on free books and courses. Most of the things I have learned are from free resources. We just need to be careful to choose the courses which are not outdated and good. These courses are designed to not only explain how to use Spring framework to build Java projects but also introduces you to Spring ecosystems e.g. other projects under Spring framework umbrella like Spring MVC, Spring Boot, Spring Batch, Spring MicroService, and Spring Integration etc. 5 FREE Spring Framework Courses for Java developers. Without wasting any more time, here are some of the best free Spring courses for Java developer to learn Spring Core, Spring MVC, and Spring Boot online at your own pace. I will keep this list up-to-date and add Spring 5 courses once I find a good free courses to share. Btw, most of the courses in list is still valuable and teach time less and fundamental concepts. This is one of the best free course to learn the basics of Spring framework i.e. Dependency Injection and Inversion of control. When I first learn Spring those were the driving factors. I was amazed how those techniques help you to write loosely coupled code, something which was both easier to test and maintain. 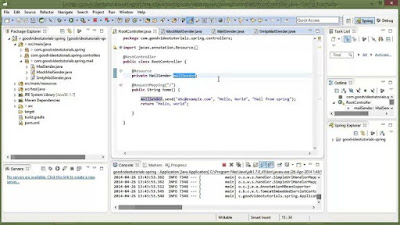 In this step-by-step Spring course, you will first learn how to create a new Spring application, and then you will understand the fundamentals of the dependency injection (IoC) features of Spring using Java and annotation based configuration. This is also one of the most popular Spring framework course available online for free, with 27,604 students already enrolled. In short, If you are new to Spring Framework, or you know Spring but are new to Java or annotation based Spring configuration, then this is the right course for you. Spring Boot is new and better way to use the Spring framework and it has really taken off in the last couple of years. This course will not teach you what is Spring boot but also help you to setup your own development environment, which is the hardest thing for anyone starting with new technology. You will also create a Hello World application from scratch and understand the tools needed to build Spring Boot Applications. As a pre-requisite, you should be familiar with Java or Groovy and Spring framework. If you are not familiar with Spring framework, I suggest you take the first Spring course on this list. 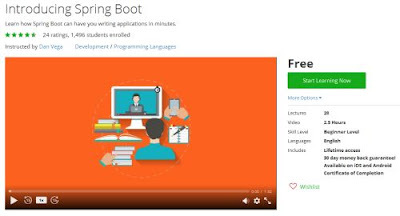 It's also one of the most popular free Spring boot course and 19,967 students are already enrolled in this course. Once you enroll, you can access this course on mobile and TV and you will also get a Certificate of Completion, after successfully completing the course. This is one of the best course to start with Spring framework from Pluralsight. The Author Bryan Hansen is a Director at Software Technology Group, a consulting company based out of Salt Lake City, and has authored and taught numerous courses in Java and Spring. In this course, you will learn the fundamentals of Spring development by going through the various configuration methods that are available in Spring e.g. 4. And how to read properties files. After this course, you are ready to explore the other Spring projects e.g. Spring MVC, Spring Boot and Spring Microservice. You don't need any prior Spring experience to attend this course but you should be familiar with Java. This is another good course from Bryan Hansen and Pluralsight for beginners, particularly for Java Web developers who want to develop internet-based Java web application using Spring framework. In this course, you will learn the basic introduction to Spring MVC. 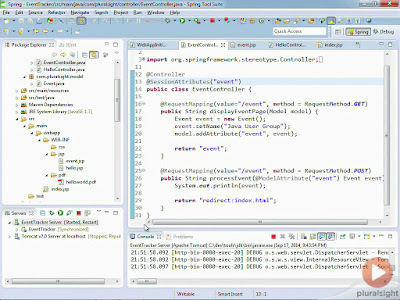 It covers building a basic app, architecture, controllers, views, tags, validation, and ajax within Spring MVC. I suggest you to first take Spring Fundamentals and then jump into this course to learn about Spring MVC. Btw, you need to sign-up for a 10-day free trial to access these two Spring courses for free. 10 day is more than enough to learn Spring and you can even access some of the other Spring courses from Pluarlsight for free in this duration e.g. Introduction to Spring MVC 4 and Get Started with Spring Boot. This is not really a free course but I put it here because it's one of the most practical course I a come across. In this course, you will build a complete project with Spring MVC and Hibernate from scratch and since you can get it on just $10 in Udemy, so, it's not expensive at all. There is another reason for putting a Spring + Hibernate course in this list because of many projects in real-world use both of these frameworks together. 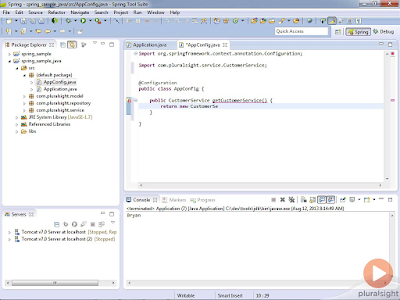 Spring is used in Presentation, Business, and Service layer while Hibernate is used in backend and DB layer. Unlike other courses which explain only core concepts, the author of this course Chad Darby, explains every single line of code you type, very useful for beginners. In short, one of the better online course to learn Spring and Hibernate together, especially if you are starting from scratch. That's all about some of the best, free Spring courses for beginners to learn online. Like Java, Spring framework is also vast and it's not easy to get everything from just one course. You may need to separate courses to learn spring MVC, Spring Boot, Spring Batch, Spring Microservice if you want them to learn in good detail, but don't worry, I'll be sharing some of the free books and courses to cover them individually as well. How do Spring MVC works? Thanks for reading this article, if you like these courses, then please share with your friends and colleagues. It's free and everybody should take benefit of that. If you have any questions or feedback then please drop a note. Very informative and well explained. Its a very good course for beginner's.